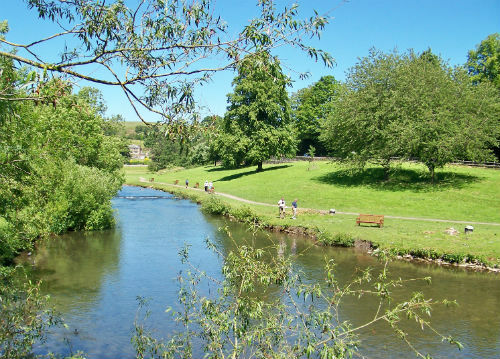 Bakewell is a historic market town, situated on the banks of the River Wye and surrounded by Peak District hills. Its beautiful location and and ancient history make the town a real gem of a place to stay. In 1951 the town became the base for the first National Park and is an ideal base to explore the surrounding countryside and villages. There’s much history here- founded in the Anglo-Saxon period, the name is thought to derive from a well of a man called Baedeca. Water has always played a strong role in Bakewell’s past: Arkwright founded a cotton mill, and there were short-lived plans to rival Buxton as a spa town but the spring water was found to be too cold! Today, anglers flock to the river to enjoy the fishing and there are beautiful walks to be had along its bank. The 500-year-old bridge is a scheduled ancient monument and is thought to be the oldest five-span bridge in Britain. The church is well worth a visit, with a fine collection of early gravestones and monuments, and the Old House Museum, itself with an Arkwright connection, is a fascinating insight into life in the town through the ages. It’s a pudding, you tart! Our most famous export, enjoyed far and wide is the Bakewell Pudding; ever the subject of heated debate, the origins of the famous dessert are not clear. One theory is that it was created by accident in the 1850s, when the cook at the Rutland Arms Hotel misunderstood the landlady’s recipe. You can enjoy a pudding or a tart, (plain or iced!) at several fine establishments claiming to be the the guardians of the original recipe. Whatever its origins, all are delicious. In 1850 the railway came to town, moving people, limestone and milk (to name but a few) across the country. Dr Beeching saw off the trains, but you can still enjoy miles of accessible walks along the former tracks and through the tunnels on the Monsal and Limestone trails. Walking, cycling and horse riding are the most popular pursuits today, with plenty of cafes and small businesses bringing new life to the former station buildings. 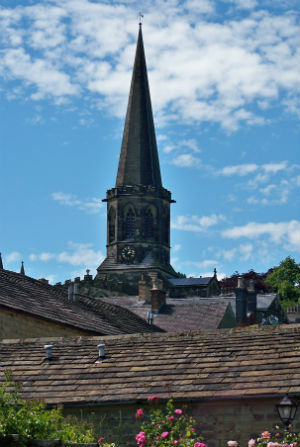 Bakewell is a great town to visit, with plenty to do and see and beautiful places to stay. For more information, visit the Tourist Information Office.